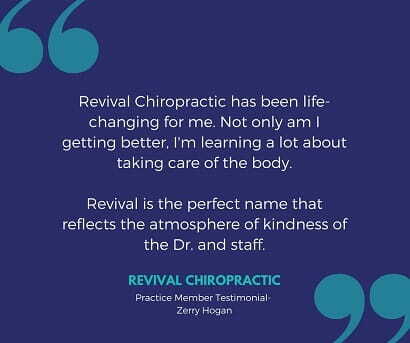 We love our Revival Family and are so grateful that you’ve trusted us with your health. 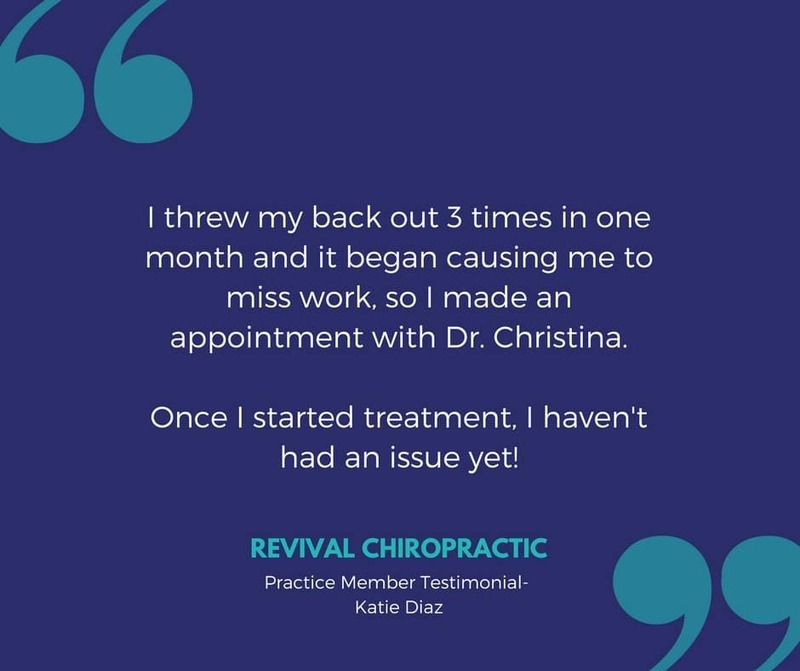 Please share these testimonials with your loved ones so that we may spread health and healing throughout our Orlando Community! If you’d like to read the full length version of our reviews, please check out over 130 Five-Star Reviews on Facebook, Google, or Yelp! 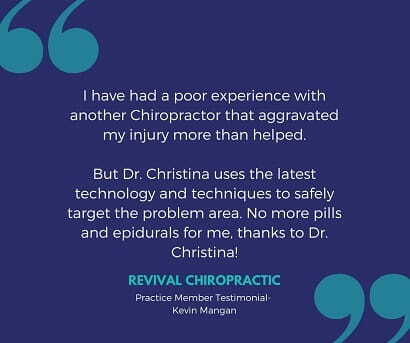 I was referred to Dr. Christina by a friend when I posted on Facebook for recommendations. 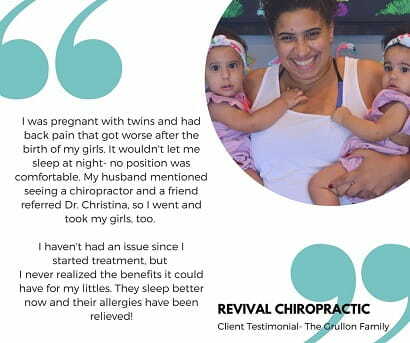 I was pregnant with twins, I had some back pain before but it got worse after the birth of my girls. I was constantly complaining about my pain because, it wouldn’t let me sleep at night no position was comfortable. My husband mentioned about seeing a chiropractor so here I am, with my girls as well. I didn’t know the benefits it had on my littles until I saw them sleeping better and their allergies gone as well. 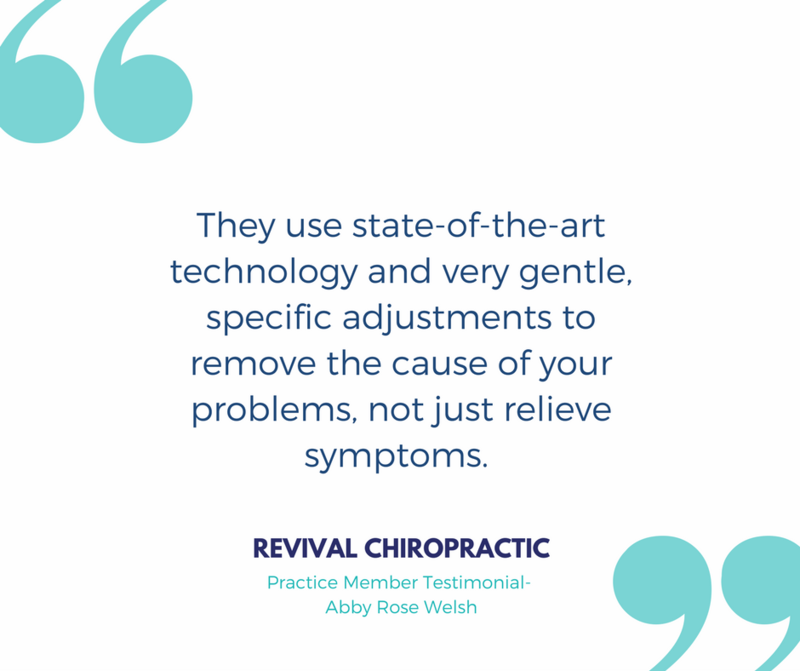 They are crawling and standing everywhere so they fall, bump heads having them adjusted helps them at every stage they go through. 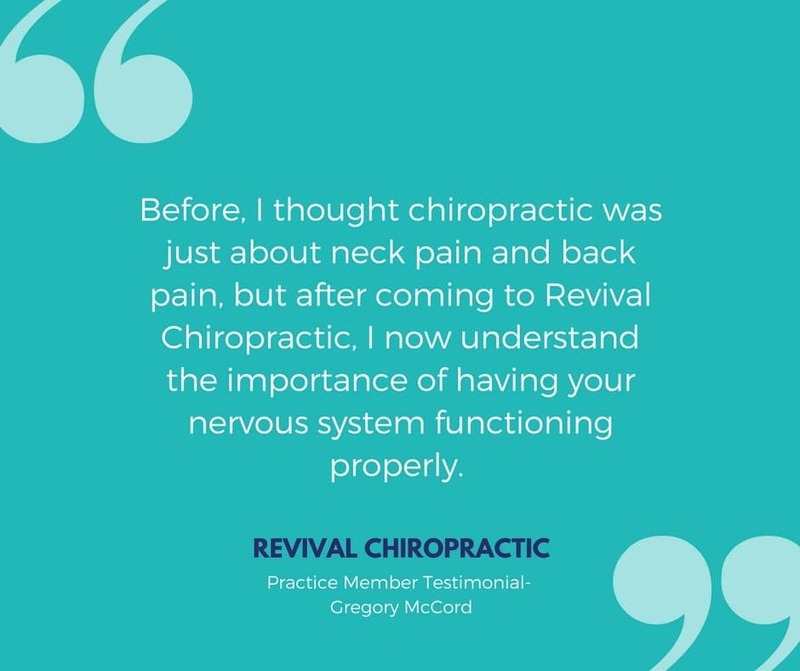 I found out about Revival Chiropractic by searching the places that specialize in the Webster Technique. I was 8 mo pregnant and my baby was breach and transverse. Within an hour of filling out the form on their website, Dr. Christina had emailed me personally. Within a week and a half of treatment (3 appointments) my baby turned and I was able to cancel my c-section appointment. My son was born slightly colicky. He had terrible reflux and and was having difficulty digesting and would sometimes be inconsolable. After two months of chiropractic work, he has no gastrointestinal issues and is the happy baby boy he was meant to be. When he got sick after his immunization shots, she adjusted him with no apppintment. 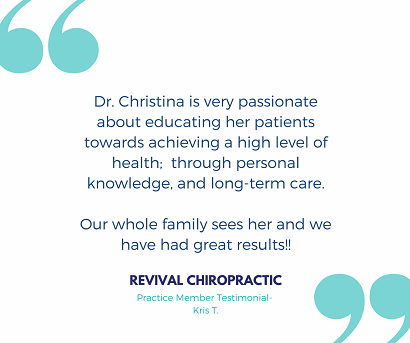 Dr Christina really believes in her work and the practice she built reflects that. 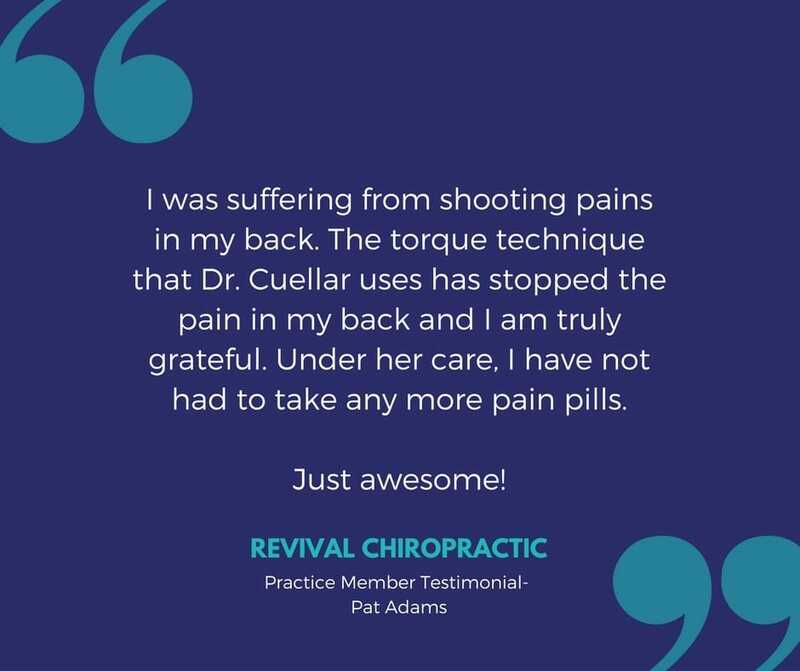 She really believes in the body’s ability to heal itself and she goes the extra mile to prep the body to do the work it needs to. She has worked to optimize the cost for families so it is convenient and cost effective for everyone within a family to get treatment. Her staff is kind and receptive. During a typical wait for a room, you only wait a few minutes. She has a system in place to maximize your time. In this short time you will wait, you’ll see whole families come in or leave. The team knows everyone’s name and business. They’re like extended members of each family. It’s wonderful to see and be a part of. 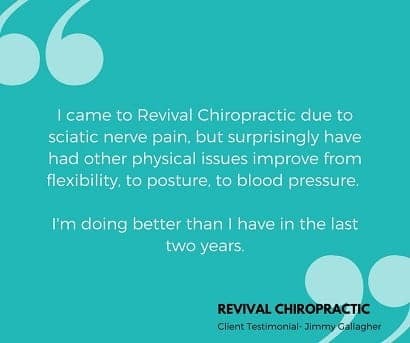 I came to Revival Chiropractic due to sciatic nerve pain, but surprisingly have had other physical issues improve. I was surprised when I got on the table and could not put my face flush on the table when turning my head to the right. I had not noticed my flexibility had decreased in my neck. After a few weeks my flexibility returned and I noticed I was standing with improved posture. I also have had high blood pressure for 7 years. I was taking two different blood pressure medications twice a day. After four months of adjustments I now take one medication once a day. My sciatic nerve issue has improved. I rarely have any discomfort when sitting, or standing. Getting the relief I have has allowed me to increase and maintain my stretching routine along with building my core to also help with this issue. I’m doing better than I have in the last two years. The staff has always treated me warmly and I have never waited more than a few minutes to be seen. 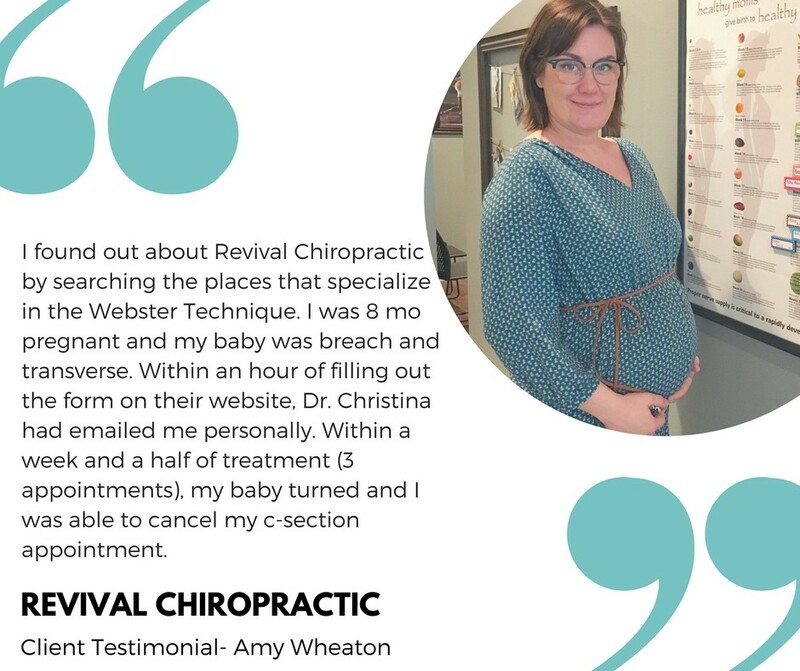 So emotional for me to even sit down and write this, Dr. Christina and her team are just flat out amazing… when I first brought Lucas my -now- 6 month old son he had every issue in the book, digestive, a curved spine and was unable to meet normal physical milestones. Tummy time was excruciating for him, and he ended up needing a helmet for his skull because he spent so much time on his back. Now my son can roll over, sit up, crawl, smile, scoot and even his skull -although not a 100% yet- is forming a better shape. 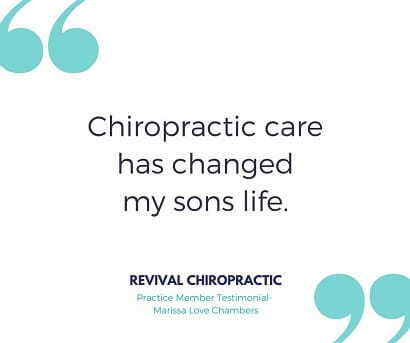 Chiropractic care has changed his life. Even today.. my son had an accident and tumbled off my bed.. (he’s 100% fine!) Dr. Christina took extra special care of him, and even me..she took the time to ask me if I was okay, in which of course I replied no and boarder line started bawling, she gave me a big hug and honestly made me so much more calm about the entire situation. She has not only worked wonders for my sons health, but mine as well. 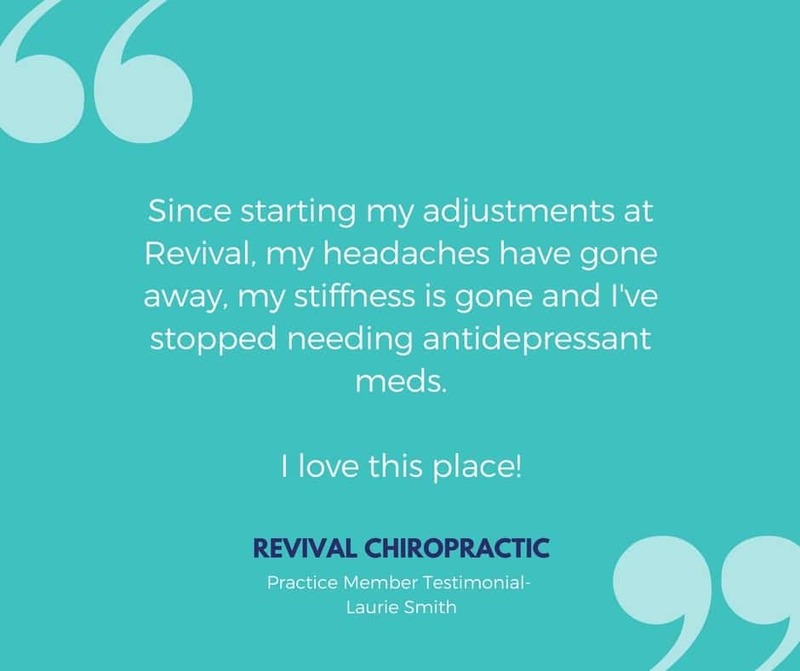 I didn’t realize that chiropractic care could help things such as postpartum depression, depression in general and anxiety.